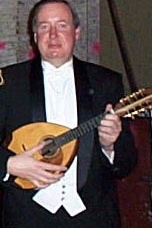 Electric Bebop is one of three pieces the composer has written for mandolinist Neil Gladd. Her other two mandolin pieces are for mandolin with optional piano (A la fin—tout seul, 1985) and voice with mandolin (Herstory IV, 1997). Of the three, Electric Bebop is the only one for electric mandolin. 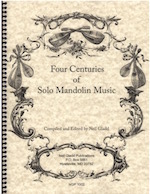 It is much shorter than the other two, and was written soon after Gladd built his first electric instrument which he played in what became a series of Mandolin Madness concerts, the second of which was at Georgetown University and saw the premiere of Electric Bebop soon after its completion. 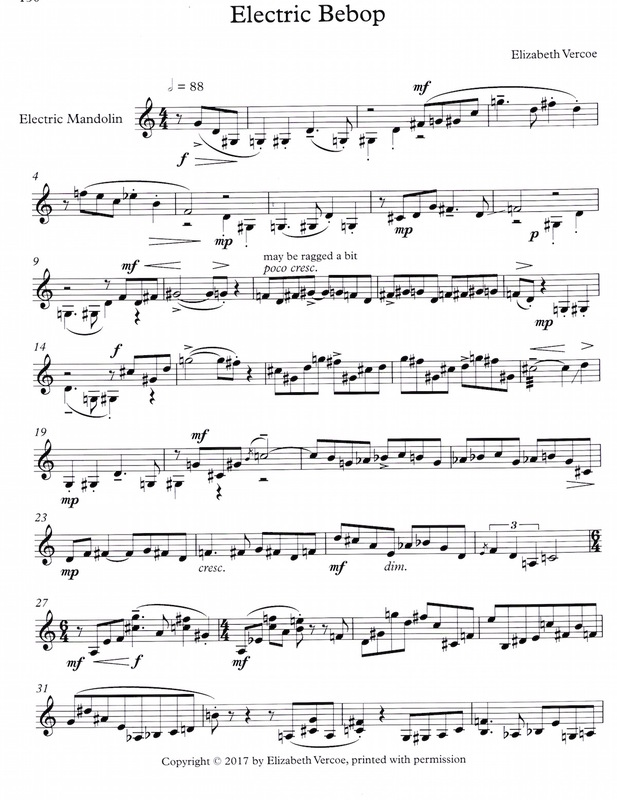 The piece is about a minute and a half long and opens with a perky little chromatic gesture that becomes a recurrent idea leading to a climactic point with double stops and a final drive to an ending that trails off into nothingness.